Technologies both new and old provide us with a wide range of cognitive artifacts that change the structure of our cognitive tasks. After a brief analysis of past classifications of these artifacts, I shall elaborate a new way of classifying them developed by focusing on an aspect that has been previously overlooked, namely the possible relationships between these objects and the cognitive processes they involve. Cognitive artifacts are often considered as objects that simply complement our cognitive capabilities, but this “complementary view” seems to be an oversimplification. 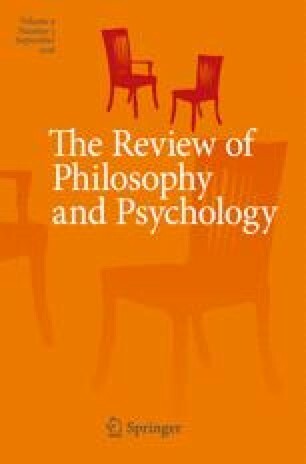 Assuming an “interaction-centered approach”, this article identifies three essential ways in which cognitive artifacts carry out their function: complementing, constituting and substituting our cognitive processes, and builds a taxonomy of these objects that is grounded on these relations. In so doing, it also addresses the chaotic set of different micro-functions carried out by cognitive artifacts, which have not thus far been dealt with, sorting these functions into three corresponding categories. The second part of the article analyzes in greater detail how cognitive artifacts work in our cognitive life, identifying a new kind of functions, called semi-proper functions, and providing a new definition of cognitive artifact based on the previous analysis of these objects. Bird, A., and E. Tobin, 2016. Natural kinds. In The Stanford Encyclopedia of Philosophy, ed. E. N. Zalta, https://plato.stanford.edu/archives/win2016/entries/natural-kinds/.